HomeAll BlogsWhat Is Affiliate Marketing? How Does It Work? I owe some explanations to my friends and to all of you who landed on my page by searching some words on Google or Yahoo or Bing. I love and appreciate my friends, but if you got here through a search engine, at this moment I treasure you even more. This means “success” to me. My first tiny steps in learning to use Search Engine Optimization (SEO) start showing some results. Yay! 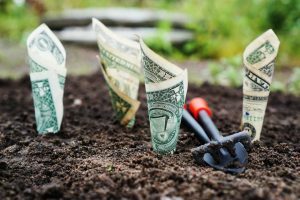 Here is what’s going on… A few months ago I joined Wealthy Affiliate (WA), where I first learned what “Affiliate Marketing” was. By now, I built two (check out the second one) websites using WA tools, instructions, and hosting, became an associate in 4 affiliate programs and networks, learned to implement eCommerce shop, found out what drop shipping was and established a direct partnership with one manufacturer-merchant. At Wealthy Affiliate, I am learning how to utilize SEO – search engine optimization – to bring traffic to my sites. 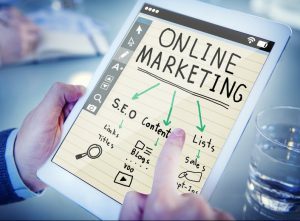 I am learning how to find and use attractive keywords, how to join affiliate programs, how to win an online competition and get ranked on the first page in Google, and how to effectively help people in my area of expertise (niche). To its Premium members, WA offers Jaaxy, Lite edition at no additional cost. 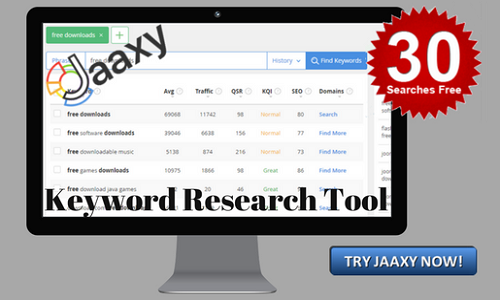 Jaaxy is an advanced keyword research tool. Everybody else can try Jaaxy for free with first 30 searches available at no charge. If you got here because you were curious about how to make quick and easy money online and become rich overnight – please feel free to move on in your search if you wish to waste your time and money. I am sorry to disappoint you: there is no such thing as quick and easy money. If somebody promised you that, they lied. There are, however, many online scammers that want your money – so, they will tell you what you want to hear. If you believe them, you’ll end up only with a bigger hole in your pocket. Wealthy Affiliate is not about “quick and easy” money. WA and its supportive and altruistic community will teach you how to build your online business and guide you to the success (you are the one to define your “success”). Your revenue depends on how much time and effort you put in your business. It can bring a few extra hundred of $$ per months, or make a good income for living. The initial focus of training in WA is on Affiliate Marketing. But once a new member is comfortable with this concept, there is plenty of learning material for Premium members on other types of online and offline business. WA provides endless learning possibilities. What does it mean to me as an affiliate marketer? It means that I don’t need to have a product for sale. I don’t need a storage space to keep the merchandise. I don’t need to worry about shipping and handling. When I sell a merchant’s product, I receive an agreed commission. What does it mean for the merchants? It means that they don’t need to pay for an advertisement that may or may not bring them sales. They don’t need to guess upfront if an advertising campaign is going to be successful. They only pay an agreed percentage of the price of a product, when the product is actually sold. Why would people come to my website and buy from me rather than directly from a merchant? Well, when you come to a physical store, you have an opportunity to see, smell, listen, touch, read all sides of the package, try on, turn on and press the buttons, etc. When we shop online, we lack most of the store options. We can only read and see the pictures or a video when available. How loud is this vacuum cleaner or a hairdryer? What’s the smell of this lipstick or a hand cream? What’re the less common and yet interesting features of this smartwatch or an electronic toy? How light is this coat or a comforter? How clean is the sound of this speaker or a violin? None of the above questions are usually answered in the short product description provided by a merchant. As an affiliate marketer, a consumer and an expert in my chosen niche, I know the actual product. I write a review, either positive, negative or mixed, and offer this review on my website. Not only I tell my visitors my insights and all the details on the product, I also share my overall knowledge on the subject. If my niche was a photography, not only I would describe in details cameras, lenses, filters, tripods, and other photography related products, I would also advise on photography techniques, give useful tips on what equipment is best suitable in which environment, what backgrounds work best in what lighting situations, etc. Not only I will give an idea on a quality of a piece of photo equipment, I would also advise whether my visitor would need this piece of equipment at all in such-and-such settings. I would compare prices and suggest the best price for the quality. I may even create some training on my website. I would educate the visitors of my website and help them make their decisions. That’s why they would come to my site and use my advice to shop the vendor. I need to show my visitors that I am an expert and they can trust me. To do so, I’d have to offer quality content on my website. LiveWealthyRetirement.com offers smart income solutions. My niche, my online business you are visiting right now, is called LiveWealthyRetirement.com. That’s because I have the knowledge, which I am willing to share with you, on how to financially supplement your living in your older age, even if you didn’t start your savings and retirement investments when you were young. Actually, it doesn’t matter what age you are in: my money making solutions work for all age categories. They do require intense work, especially during the first year or two, but this work does not require you to be physically healthy (though, I wish you would be!) and it doesn’t require you to work full time. Can you name a legit business that could be launched with as low as $500.00? I said, “supplement your living” in the first paragraph above… How about “make your living” and yes, wealthy living, in 2-3 years? Affiliate Marketing, which you can learn at Wealthy Affiliate is only one part of the solution I can offer. There are many other types of online business that Premium members could discover and learn about at WA. Besides, while I was organizing my own family finances, I also made friends and studied financial planning and insurance with the World Financial Group. Today, I am a licensed insurance producer and will share many other tips with you in my future blogs. Please stay tuned. What’s so special about Wealthy Affiliate? It is all-inclusive, legit, hassle-free organization, that helps its members to build successful businesses with minimal investment. It unites over 850K active members from around the world. I’ve been a Premium member of this community for several months and had a chance to get to know it very well. If you need a hand or have a comment, please let me know below in the “Comments” area and I’d be happy to help you. Fantastic easy to follow article and inspires me to step up my game. Keep me the great work. Thank you for taking the time for leaving the comment. I am glad that you found the article “easy to follow”. That’s what I need because moving forward I’ll be explaining more complicated financial topics. I must make sure that I am able to deliver the idea in a comprehensive way. Thanks again for reading and for your feedback. Thank you for this easy-to-read post, Julia. I’m glad you mentioned that age is not a restriction to starting an online business. Both of my parents are in their early sixties and have retired. I’m trying to encourage them to start an online business since they now have a lot of free time. But my parents think they’re too old to get into “this type of business” (their exact words) and would rather have a physical store. I think your website might be a good place for them to start. Do you have a specific post that I can share with them so that they can start with the basics, i.e., what it costs to start an online business and how they can benefit from this? Thank you so much for your comment. My website is new and developing rapidly, and its whole point is to show older people that they can improve their financial situation by working out of the comfort of their home, sitting on a couch in their pajamas, following their own schedule that matches their lifestyle and being their own bosses. If your parents can run their own physical shop, then launching and running an online business would be too simple for them IF they do it with Wealthy Affiliate (WA). Yes, please ask them to read my review of this company: https://livewealthyretirement.com/wealthy-affiliate-review-in-2018. WA offers a simple step-by-step course for the beginners “Online Entrepreneur Certification”, they provide tools, which allow building a website without any technical knowledge. WA hosts members’ websites in their secure environment and offers 24/7 support. Your parents can explore WA for FREE, but if they become serious and decide to build their online business, I strongly recommend to buy Premium membership – it’s all explained in the review. I hope you’d be able to convince them that online business is less troublesome than a physical store and might be more gentle on their health. Thanks so much for visiting my site and for taking your time to comment! It’s so nice to have visits from other WA members who confirm how helpful and awesome Wealthy Affiliate experience is. I am sorry that you lost money to scams before you came across this all-inclusive platform at WA. I am glad that you didn’t lose trust completely and continued looking for a legit company that could teach you how to build and run your own online business. Thus, you found Wealthy Affiliate! All the best to you in your Affiliate business. I think it is very important to find a meaningful way to live our lives when we enter into retirement. I think you are right to suggest to enter into affiliate marketing. It is amazing what we can learn when we are older, even if we didn’t grow up with computers and other technologies. But there are ways to learn and people who help us with that. wealthyaffiliate.com certainly is one of the places recommended where we can find inspiration and help. Thank you very much for taking the time for reading my article and expressing your opinion. I know many successful members at Wealthy Affiliates, who are over 70. I e-met a woman who is 84 years old, and whose daughter got paralyzed at her 58. This elderly lady has built several monetized websites to financially support her daughter. You are absolutely right – it’s never late to learn, especially when we are determined and have a good cause. I think that supplementing our pitiful Social Security Income is a good cause. I need to improve my SEO, yes I am aware of this. Still, I struggle with all the tools out there and can’t get one which really fills my gap. I was looking for a tool which analysis my text and tells me the term to recommend and which fits the best. But seems all these tools can do is take my recommendation and see how I would do. Before I got the route of Wealthy Affiliate I thought I make my blog fit in SEO. Did anyone saw a tool like this? You’ve got my attention with this article! As someone who is late to saving for retirement, I am always on the lookout for ways to increase my income and start saving. I currently work as a virtual assistant/copywriter to bring in that extra income, but at some point, I’d love to start bringing in income in other ways. So far, I love what I’ve seen from Wealthy Affiliate. I currently have a free membership and am trying to figure out a profitable niche for affiliate income down the road. I am very pleased that my article got your attention. Thank you for your comment. I wish you great success in everything you do! As a retired person AND long-time online marketer, I can tell all your people who are sitting on the fence to just do it! The first 6 months is a bit tough, although I must admit, back in 2007 when I began it wasn’t as tough as it is now. Google was way more friendly, for one thing. The trick nowadays is to try and get multiple threads of income, from affiliate products, creating your own products and also putting some courses online – you’ll make it. It’s the people that give up that just whine about it, but basically, they didn’t take enough of the right action. 80% of all marketers give up – don’t be one of them! Thank you so much for giving us your expert advice. Starting a new business is never easy – marketing or other. At least with marketing we don’t put much money at risk; it’s mostly our time and effort that we are contributing and risking. And still it would be a shame to give up and waste all that time we invested and the work we’ve done when the success was just around the corner. Your encouragement is priceless. I had a gut feeling that it was probably a bit easier to please Google 10 years ago. It’s interesting to hear it from an eyewitness. Thank you for confirmation. What a great article you have written here and it is so accurate! You are right, if someone is looking for an overnight million dollar – that only happens with lotto! Not in affiliate marketing nor any other legitimate online endeavor. Wealthy Affiliate is a University as far as I am concerned, and an excellent AFFORDABLE one at that. 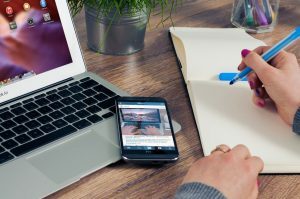 In a very short time – compared to most university diplomas – you gain enough knowledge to be able to offer your services and start earning money through it. That in itself is amazing. Thank you very much for taking time to read my article. I completely agree with you that Wealthy Affiliate gives an education, competitive with other universities, the gained knowledge is practical and leads to the earnings faster than education from many other reputable schools. I am being careful with the word “university” in relation to Wealthy Affiliate because it is an excellent all-inclusive training platform which is more than just a school. It doesn’t have an official “university” status. In addition to step-by-step training, it provides members with website building tools, keyword tool, fast and secure web hosting, an amazing world-wide community and excellent support. Thank you for your kind wishes. I wish you great success and all the best. I love the idea of affiliate marketing thank you for sharing your amazing opportunity and ideas. I see the value of stepping into an opportunity to provide your website visitors with value and be compensated when they make a purchase. Have you ever used any other services like Commission Junction or Clickbank? I’m curious. Where do you think a Wealthy Affiliates opportunity would best fit? Thank you for your reply. Thank you so much for stopping by and leaving me a note. Wealthy Affiliate (WA) is an all-inclusive platform offering training, secure and fast web hosting, website building tools, 24/7 technical support and worldwide community support. It offers a FREE affiliate marketing course for the beginners, and then it offers for its Premium members an advanced training in the affiliate marketing and almost in any kind of online business. So, to answer your question, Wealthy Affiliate opportunity is the best choice for everyone who wants to start their own online business and work from home on a flexible schedule. Most companies nowadays rely on affiliate marketers in promoting their products. At WA you’ll learn that many big companies run their own affiliate program, including WA itself, while other (usually smaller) companies sign up for an affiliate network such as CJ Affiliates (formerly known as Commission Junction). Clickbank is a marketplace that offers its own affiliate marketing program. It’s similar to Amazon’s program called “The Amazon Associates Program”. Wealthy Affiliate teaches step-by-step how to become an affiliate marketer and subscribe for different programs and networks – yes, each affiliate marketer can be associated with more than one program or network. Thank you again for your feedback and your questions. Please let me know if I could help you with anything else.